AC/DC and The Rolling Stones have landed in the Top 10 of Forbes magazine’s List of Highest Paid Musicians of 2016. The annual list – which measures pretax income from June 1, 2015, to June 1, 2016 before deducting management fees – was topped by pop/country star Taylor Swift at US $170 million, ahead of boy band One Direction at No. 2 ($110M), Adele at No. 3 with $80.5M, Madonna at No. 4 ($76.5M), and Rihanna, who rounded out the Top 5 at $75M. 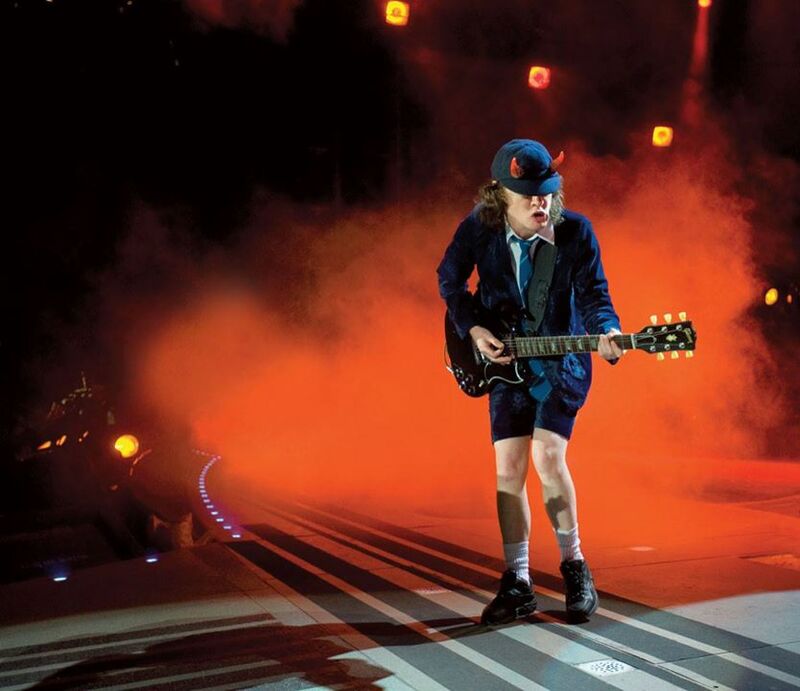 AC/DC landed at No. 7 with earnings of US $67.5 million from their “Rock Or Bust” world tour. The 2-year run saw lead singer Brian Johnson step aside in early 2016 due to hearing loss issues on doctor’s orders, with Axl Rose stepping in to perform dates in both Europe and the US. The Rolling Stones sit at No. 8 with revenue of 66.5 million from shows on their 2015 Zip Code tour of North America and the Latin American Ole run this past spring. Rocker Bruce Springsteen finished just outside the Top 10 at No. 11 with earnings of $60.5M.